Our Ship sailed through the night after casting off from Whittier. 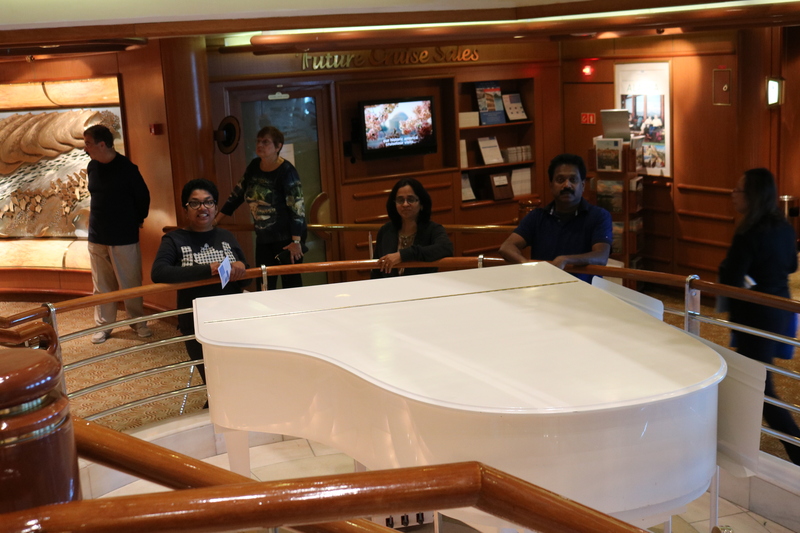 We had early breakfast and set out to explore the ship. In the Mid-Ship was lavishly decorated and well laid out Shopping Arcade with stores selling everything from Scotch Whisky to Jewellery. Shopping Arcade covered four floors, very well done up with chandeliers, artwork, murals and et all. 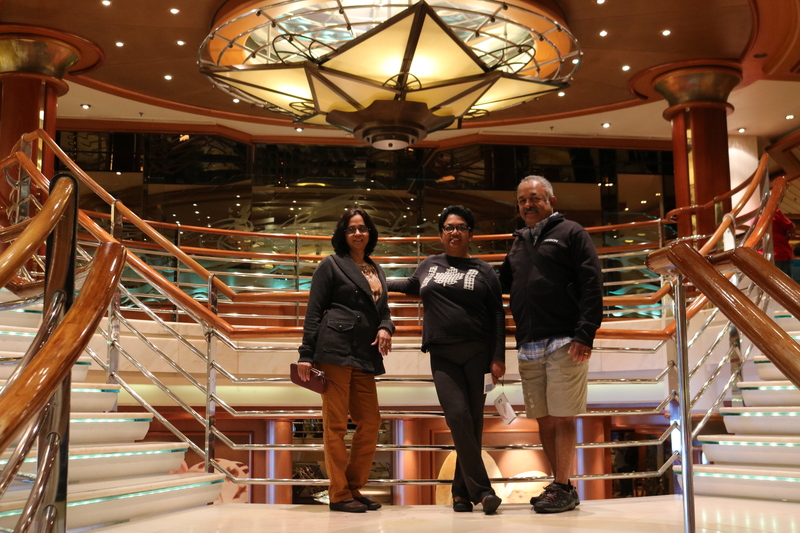 Our ship entered Yakutat Bay by 11 AM from Gulf of Alaska. 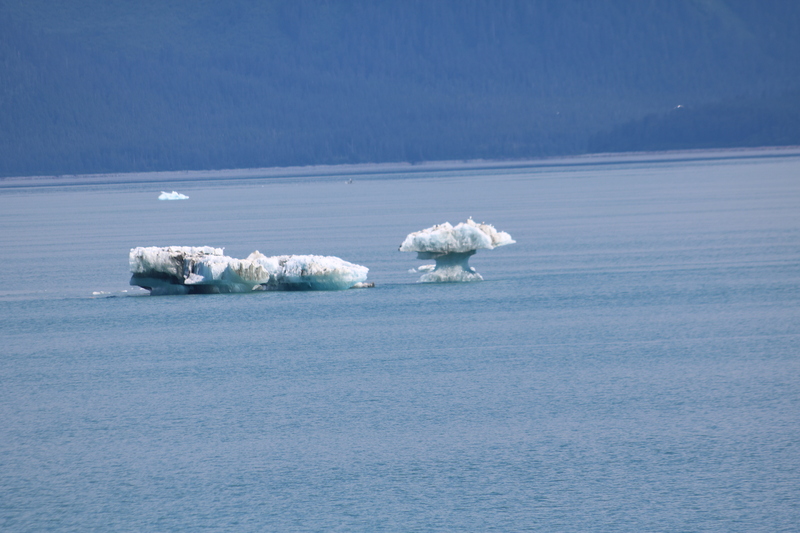 It was a breathtaking sight to see large icebergs that had calved out of the giant glaciers, floating around. On to the West was St Elias mountains ranges. The mountains rise like a white pyramid to an elevation of about 6000 meter in one of the world’s most dramatic transitions from sea to summit. The Fairweather mountain ranges lies on the Eastern side of the Bay. These mountains are scarred by glacial activity from the Ice Ages to date. As we sailed through the Bay, more ice bergs, both small and big, were sighted as we sailed into Disenchantment Bay. This bay was named Puerto del Desengano (bay of disenchantment in Spanish) by Alessandro Malaspina in 1792, when he felt ‘disenchanted’ that the bay was not the entrance to the North-West Passage. He was in fact looking to sail through the Arctic Ocean to Europe through the North-West Passage. 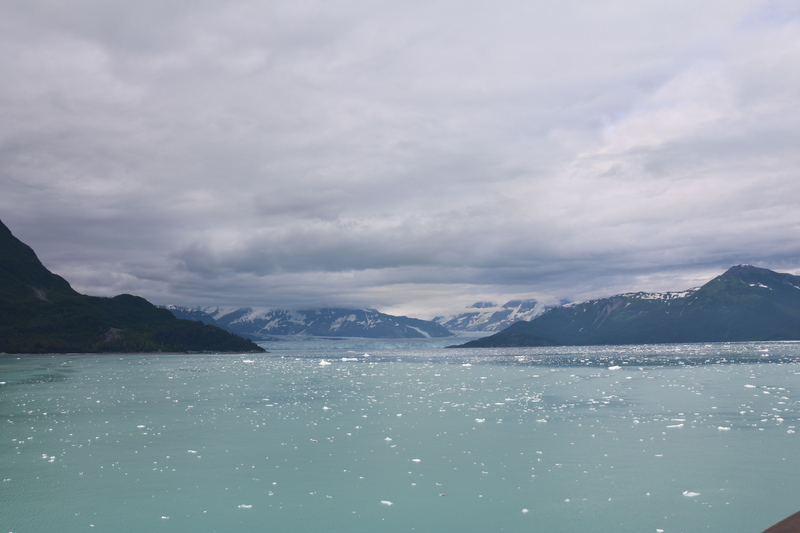 As our ship entered Disenchantment Bay, we could see Hubbard Glacier from over 50 km. This massive glacier is a staggering 125 km long, 10 km wide, and 400 meter deep. Its face is over 100 meter high, which is as high as a 30-40 story building. 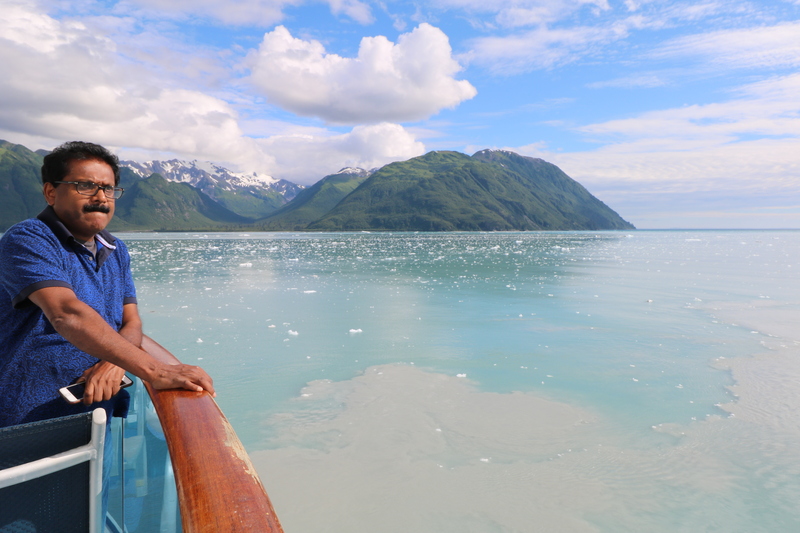 Hubbard Glacier, is one of the over 110,000 glaciers in Alaska and is North America’s largest tidewater glacier. 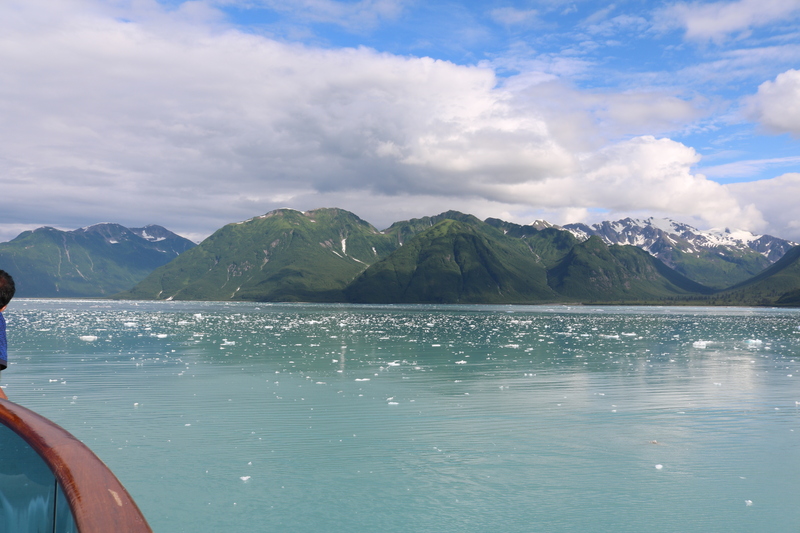 Hubbard Glacier was named in 1890 in honour of Gardiner G. Hubbard, the founder of the National Geographic Society. A Tidewater Glacier is fed by the snow that flow out of the mountains and down to the sea. Saltwater of the sea ‘eat’ into the thick ice-wall, causing it to break off . This process is called ‘calving’. Hubbard Glacier has been thickening and advancing toward the Gulf of Alaska, in stark contrast with most glaciers, which have thinned and retreated during the last century. This atypical behaviour is an important example of the calving glacier cycle in which glacier advance and retreat is controlled more by the mechanics of calving than by climate fluctuations. If Hubbard Glacier continues to advance, it will close the seaward entrance of Russell Fiord and create the largest glacier-dammed lake on the North American continent as it had done in 1986 and 2002. 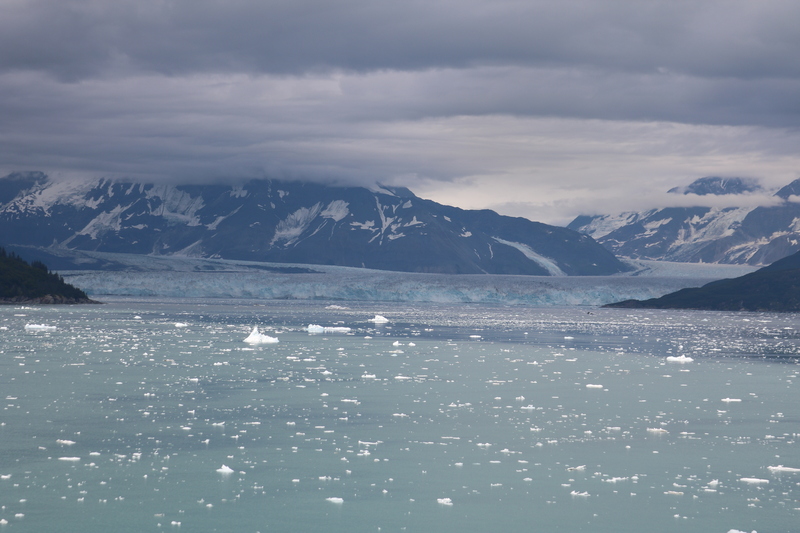 Hubbard Glacier remains an ongoing study of calving glacier dynamics for the scientific community. 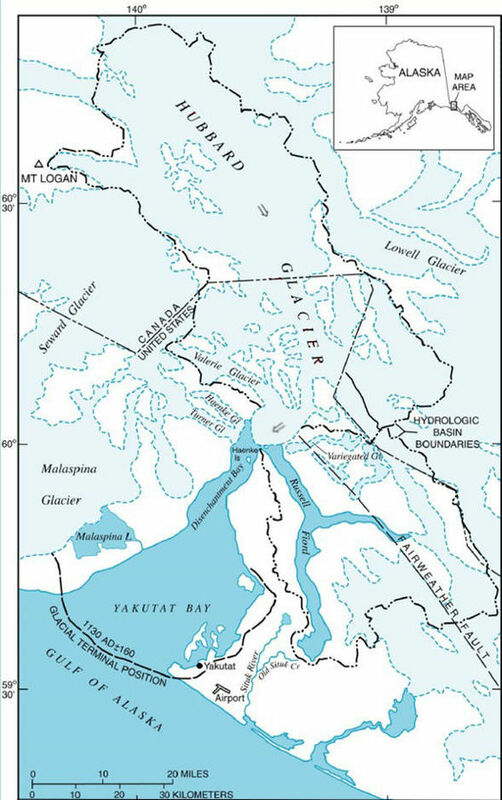 In 2002 the advancing terminus of Hubbard Glacier created a glacier lake dam which turned Russell Fiord in to a lake for about two and a half months. Rising water in the newly formed lake altered local hydrology and was a threat to nearby communities. During the two and a half months that the channel was dammed, Russell Lake rose 20 meter. In 1986 a similar scenario resulted when the glacier caused dam raised the lake level 27 meter over the course of five months. Erosion of ice dam from saltwater eventually carved a new outlet channel and restored the fiord to its previous elevation in both cases. Our ship after being in Disenchantment Bay for over two hours turned around. During this manoeuvre, the ship’s propellers churned out glacial deposits brought down by the calving ice bergs deposited on the ocean floor. 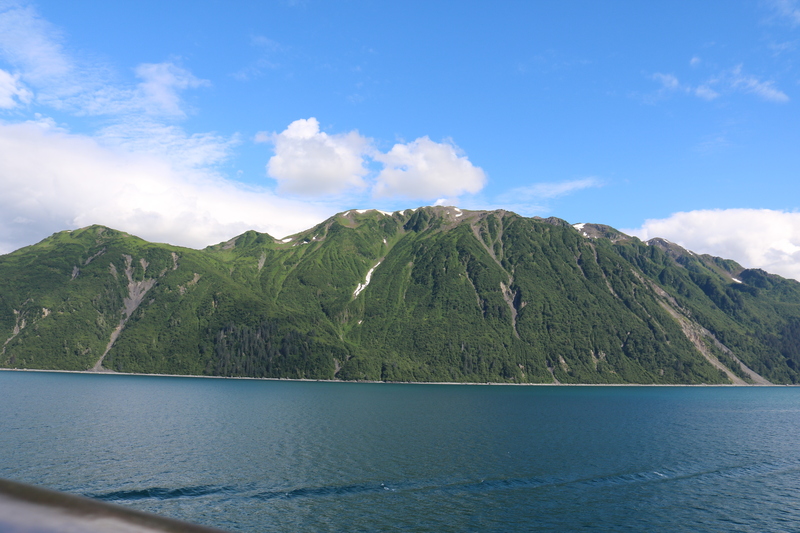 After sailing another two hours in Disenchantment Bay, our ship headed for the Glacier Bay. 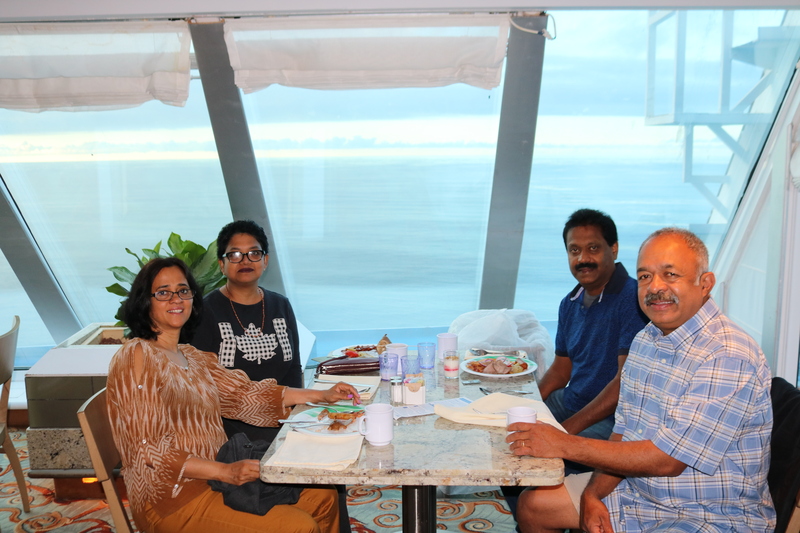 We all were really ‘enchanted’ by the natural beauty of the hills, the bay, and the floating icebergs. We were not at all ‘disenchanted’ as we were surely not looking for the North-West Passage to Europe. 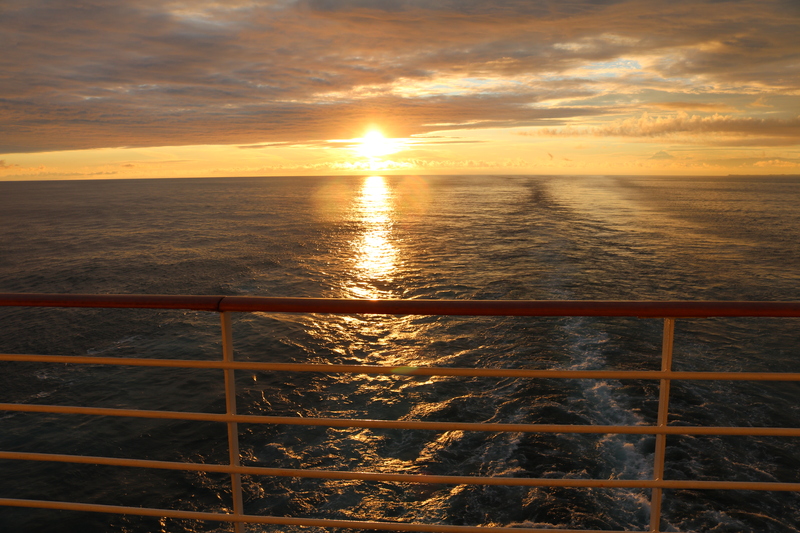 As our ship sailed ahead from the Disenchantment Bay, we watched the Sun setting into the Pacific Ocean – It was 10:45 PM.